It is said that we are all born with confidence. As we grow and learn we gain more. Unsurprisingly, most successful people in our modern society exude confidence in everything they do. Confident people are good at setting realistic targets. They learn from their mistakes without worrying too much about what others think. How do we lose our confidence? Low self-confidence can be triggered by numerous factors but normally past negative experiences and negative comments around failures. We absorb judgements and criticisms and this begins to affect our self-confidence without our knowledge or consciousness. Going forward we will try and avoid the same situations believing we can’t do it. We can have different levels of confidence in each area of our lives, we may be confident at work but lack social confidence. We might have a great romantic relationship, but lack confidence in our friendship circle. The key is to feel confident in all aspects of our lives. 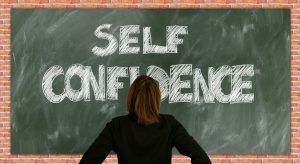 What is the difference between self confidence and self esteem? Self confidence is how we feel about our abilities in front of others. For example, performing at work, socialising with friends and how we present ourselves. Self esteem is how we feel about ourselves deep down. The great news is, your confidence is still there, it’s just in hiding. We begin by identifying which areas are lacking in confidence and challenge the negative thoughts and feelings. We then seek to change your mindset both cognitively and through hypnosis, eventually restoring your natural confidence.